We all want to maintain active lifestyles and healthy body weights, especially as we grow older. For this reason you may already be familiar with the thyroid gland and how it governs your metabolism, weight, sleep or emotional state. However, you may not be familiar with the parathyroid glands and how, if overactive, they can have a severe effect on your health. 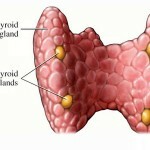 In this article … [Read more...] about Do You Have Hyperparathyroidism?